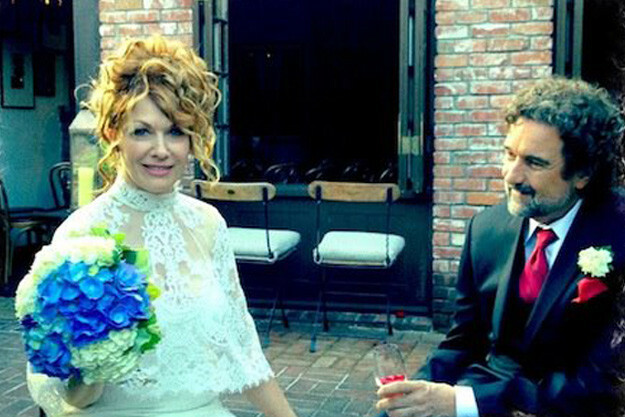 Or so wrote Heart guitarist Nancy Wilson on her Facebook page when she married Fox exec Geoff Bywater at Mill Valley's El Paseo restaurant on Saturday. The restaurant is co-owned by celebrity chef Tyler Florence and the Red Rocker himself, Sammy Hagar. Wilson, who was born in San Francisco, gained fame in the 1970s and '80s for Heart hits like "Barracuda," "Crazy On You" and "Magic Man." Wilson wrote about her connection with Bywater on Facebook, as well. "My fiancé Geoff Bywater is a senior exec at Fox who handles the music for Glee among other shows," wrote Wilson. "We are deeply in love, the same age, and both devoted parents. There is so much happiness we share together, and our blended families too." It's a match made in (stairway to) heaven!